I have had the pleasure of working with Hortons England from the very start. They are a clothing brand that offer accessories with colour and comfort and have been spotted recently on Channel 4 News and Gogglebox. Its been interesting seeing the brand grow over the years and I love seeing them for sale in shops now. 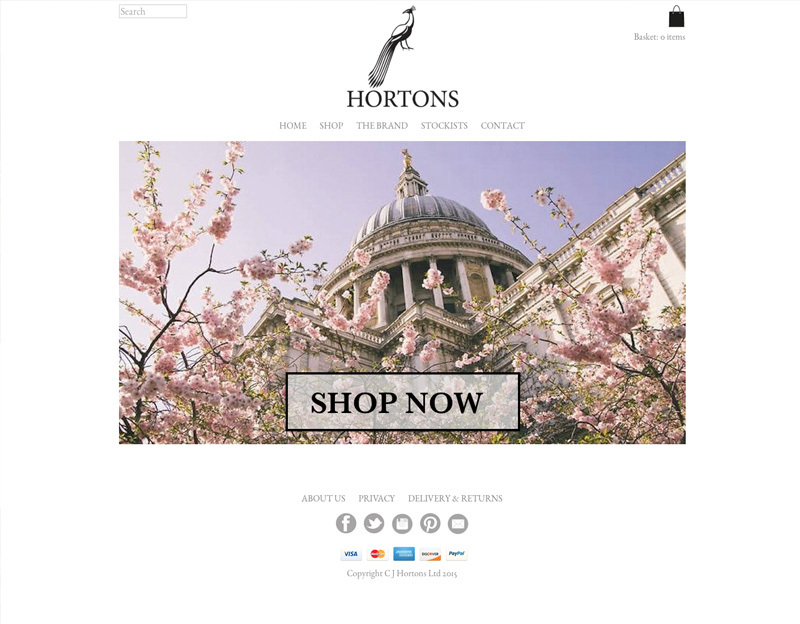 The site has changed over the years and now offers online shopping.